Velocio Sports announces Monday that the former HTC-Highroad women's team will continue into 2012 with new title sponsors and management group. The team, which will be made up of a large percentage of the 2011 riders and staff, will be primarily supported by Specialized Bicycle Company and lululemon athletica and will be known as Team Specialized lululemon. Specialized has a longstanding commitment to women's cycling, having sponsored some of the best female athletes in the world over the years and dedicating vast resources into women's specific products. 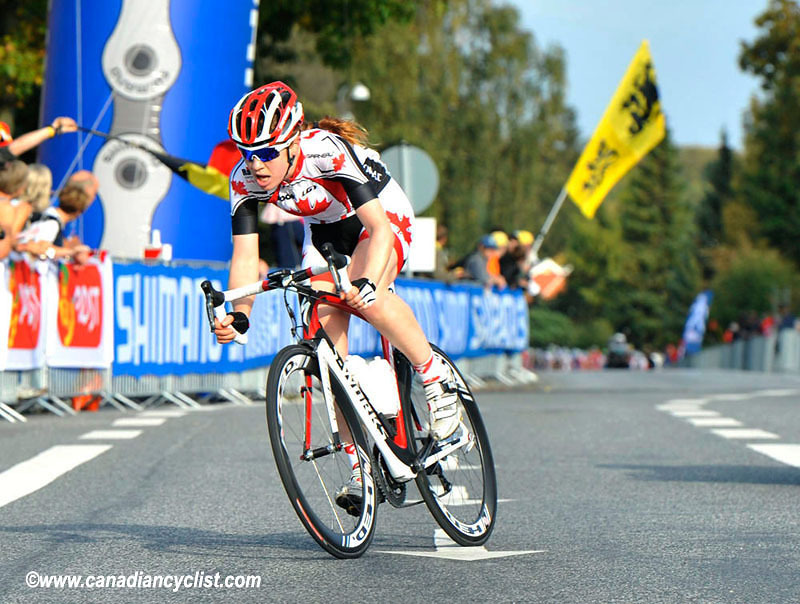 In 2012, the California company will take it to a whole new level in partnership with Vancouver based lululemon athletica to one of the most successful women's cycling teams in the world. As a company focused on racing and developing bikes and equipment, the entire team at Specialized is excited to join forces with lululemon -especially with the London Olympics coming next year. "This is such an awesome opportunity for us," said Specialized's President and Founder, Mike Sinyard. "We're really excited to put our name behind these incredible athletes with an inspiring company like lululemon that makes the best women's athletic apparel in the world. Our pro riders give us invaluable feedback to continue innovating the best bikes in the world." "We can't wait to elevate women's cycling with Specialized," said Christine Day, CEO, lululemon athletica. "Their technical expertise, longstanding pedigree and dedication to women in cycling inspire our entire organization. Feedback from the athletes is what drives us and these amazing athletes further enhance our focus on technical product." The team will race on the all-new 2012 Specialized Amira, on which they took many great victories in 2011 and showcased it as a podium-worthy women's race bike. The women will also ride the World Championship-winning S-Works Shiv, the S-Works Prevail and TT2 helmets, as well as Specialized Body Geometry Oura saddles and S-Works shoes. Although the team will not continue to be run by High Road Sports, Highroad will be a sponsor of the team going forward. "Bob [Stapleton] has been an avid supporter of women's cycling for many years and we would like to carry on his hard work by continuing the team with much of the same structure in place," said Director of Velocio Sports, Kristy Scrymgeour. "He has been very supportive of the project and will provide us with valuable equipment to get us going." Most of the team's firepower will return for 2012, including star riders like sprint star Ina-Yoko Teutenberg (Ger), U.S national time trial champion Evelyn Stevens and former world time trial champion Amber Neben (USA) An exciting new addition to the roster will be Olympic medalist of both cycling and speed skating, Clara Hughes from Canada. Other returning riders are Ellen Van Dijk (Ned), Emilia Fahlin (Swe), Chloe Hosking (Aus), Ally Stacher (USA), Charlotte Becker (Ger) and Katie Colclough (GBr) with new additions in Trixi Worrack (Ger) and Lisa Brennauer (Ger). Ronny Lauke will continue as Team Manager and Sport Director of the team and Oliver Grabowski and Beth Duryea will remain with the team as head mechanic and soigneur respectively.